If you want to volunteer but you’re not aged 18, you can still join as a youth member. Can you to work in a team? Are you between the ages of 15 and 18? You must be aged 18 or more to undertake operational roles, however if you’re aged 15-18, you can join as a junior member and still receive nationally-accredited training. 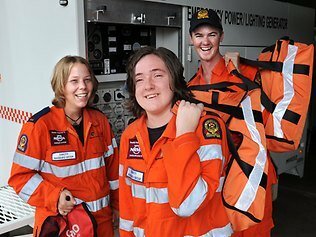 Youth members may be exposed to a number of training scenarios and receive nationally-accredited training in General Rescue, First Aid and Occupational Health and Safety. You’ll also learn skills relating to flood response, storm response and community education. Use power and lighting equipment.